A national timeline document from the U.S. Census Bureau, of what needs to happen between now and the 2020 count, lists community engagement and education of local leaders to start in January. But we’re glad it has already begun in full force in the Rio Grande Valley. On Thursday morning, leaders from Hidalgo, Cameron and Starr counties as well as at least nine local cities and a few community advocacy groups attended a workshop at Hidalgo County Commissioners Court in Edinburg to prepare for the decennial count. 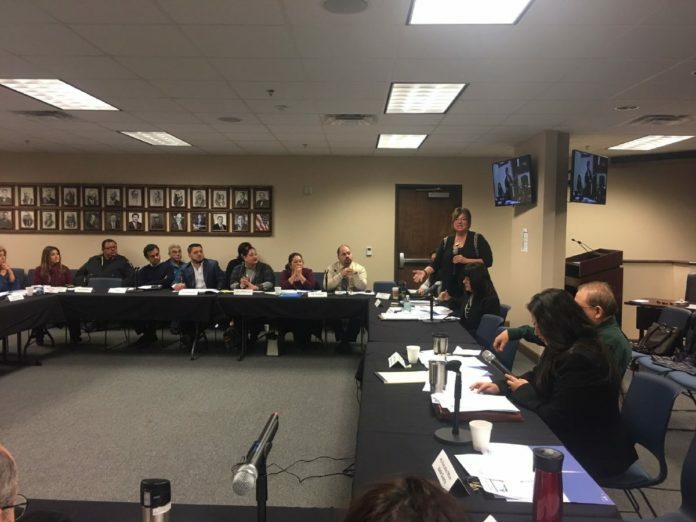 This was the second meeting of the RGV 2020 Census Coalition since September and several questions were raised to representatives from the U.S. Census Bureau that highlighted how unique our area is and detailed potential problems that must be addressed prior to the 2020 count. Namely: Proper outreach to residents without mailboxes, such as those living in colonias, and even the entire population of Edcouch, which, it turns out, doesn’t have mailboxes. Census officials explained Thursday that Census questionnaire forms — which everyone is to get beginning in mid-March 2020 — cannot be sent to post office boxes. They also announced that a local Census office would be opened in McAllen in 2019, and many local workers will be hired to help with the count. Opening an office here — rather than just relying on a regional office based in San Antonio — is great news for the Valley and demonstrates a desire for an accurate count that could translate into millions of federal dollars coming our way. Ensuring that we have an accurate count of everyone — whether they are legally here, or not — is vital on so many levels beyond money. The number of congressional and judicial seats will be determined by the Census; as well as funding for local and state governments. It’s important that residents know this and understand that all Census data is confidential and protected and cannot be shared with other government agencies under federal law. Vicki McIntire, assistant regional director for the Census Bureau based in Denver, said that Texas could gain four seats in Congress from this Census due to its population growth. The RGV is expected to show a tremendous population surge and that should bring in additional funds from Washington. But we won’t get the money if the numbers are not accurate. Counting colonia residents, and migrant workers, for example, will be a particular challenge here, McIntire conceded. And new plans being implemented this Census under the Trump Administration for everyone who is able to “self-respond” via the internet or by phoning in information, will not be feasible in low-income neighborhoods, of which we have plenty. So we call on our Valley congressional delegation to ask Congress to appropriate more funds for the hiring of on-the-ground Census workers to canvass RGV neighborhoods. McIntire tells us that door knocking still will ensue beginning that summer, but only after families have failed to self-report. We also urge every local municipality to register by the Dec. 15 deadline with the bureau’s Local Update of Census Addresses (LUCA) operation. Registering is essential to ensure that local leaders can compare maps of their towns with Census documents in order to make sure all new subdivisions are included.